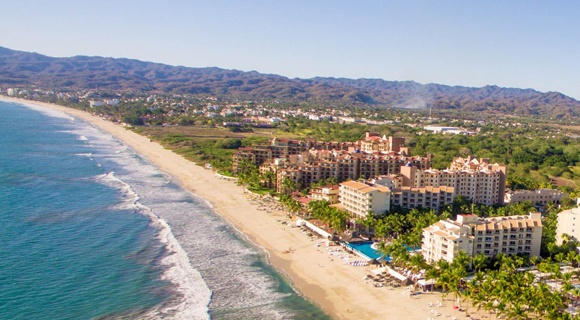 The Bel Air Flamingos is getting a new convention center, there’s a new spa for the Hard Rock Hotel Vallarta in Nuevo Vallarta, the Four Seasons Resort Punta Mita has begun a multimillion-dollar remodel, and the Playa Escondida Hotel in Sayulita has upgraded as well. Several hotels in the Riviera Nayarit are adding new spaces or upgrading their current facilities in order to increase the quality of their services and keep their status among the best hotels in the country. Here’s a look at some of the latest news. The Bel Air Collection Resort & Spa is building what will be the largest convention center in Riviera Nayarit, a total of 33,906 sq ft, which is scheduled to open Spring of June 2017. There will be further details moving forward about this new center for up to 1,600 people, which will help strengthen the Riviera Nayarit’s Meetings and Conventions segment. The Four Seasons Resort Punta Mita is working on a multi-million dollar remodel that will be finished by November 2016. Among the standouts will be a renewed Spa Apuane, an extensive redesign of their presidential suites—Sol and Luna—as well as a transformation of its adults-only pool, Tamai. The renovated spa will offer 13 large treatment cabins, including two new ones plus a private suite. The residential suites will be expanded and receive luxurious updates and the pool will reflect a more contemporary artisanal and organic image. Nuevo Vallarta’s Hard Rock Hotel Vallarta is looking at a new Rock Spa with 13 treatment cabins as well as two hydrotherapy areas to cover all the needs of the wellness segment. The spa will include 7 individual cabins, a Rhythm & Motion cabin, a private suite cabin with its own hydrotherapy ritual, four double cabins, one boutique and separate hydrotherapy areas for men and women including a sauna, a steam room, a Jacuzzi and a plunge pool. There are several other hotels that are continually upgrading their facilities, including the Hotel Playa Escondida in Sayulita, which recently remodeled its rooms and its restaurants.